Greetings from Kangchenjunga trek! We’ve been having major issues with satellite data so you might get to read this post slightly delayed. We left Kathmandu on morning of 9th. By ’we’ I am talking about our group of four; me and my basecamp cook / manager Ngima, Indian climber Tusi who among several others is sharing basecamp with me and Phurba, her climbing sherpa. We first drove (15hrs) to Ilam in far South-East corner of Nepal. I do like the flat Terai-lowlands and it was interesting to see that part of Nepal too. From Ilam we then drove on very bad roads to Taplejung (1000m.). Started the trek from there and now after two days of walking have made it to Yamphudin (2050m.). Here we are having a day off and making sure that the porter-loads will meet us at Ramche after a couple more days of walking. 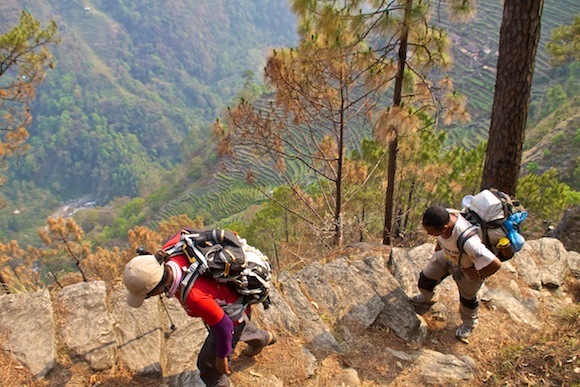 It is however not us, but the porters who set the pace for our approach. It is raining at the moment but ’til now it has been very beautiful! This seems like a very nice trek. I’ve got myself slightly interested in bird-watching which hopefully will keep me busy and entertained through this long trek. Who knows, maybe while keeping alert I might be able to scope that famous, elusive snow-leopard which might be easiest seen right here! 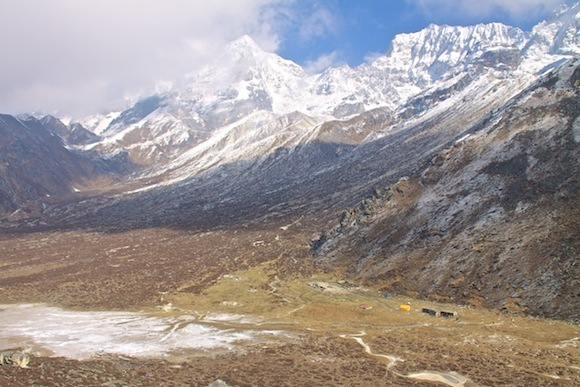 Samuli Mansikka Kangchenjunga Expedition is on! 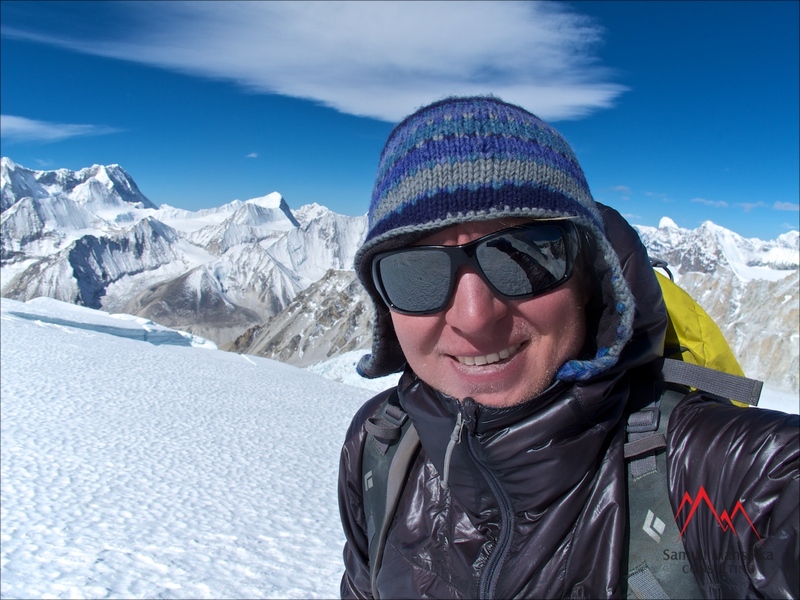 Samuli is now in Nepal for his attempt on Kangchenjunga! At 8586 meters it is World’s third highest mountain! 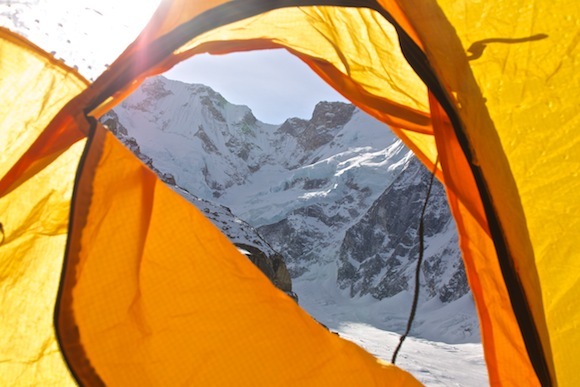 This ascent is made by ”fair means” not using bottled oxygen and climbing solo, with no support above base camp (5500m.). Follow our blog, Twitter and Instagram to get the latest updates from the mountain! Summit attempts are expected in late-May, conditions permitting. Samuli on parhaillaan Nepalissa yrittämässä nousua maailman kolmanneksi korkeimmalle vuorelle, Kangchenjungalle (8586m.)! Nousu tehdään ”rehellisin keinoin” soolona perusleirin (5500m.) yläpuolella ja ilman pullotettua happea. Seuraa blogia, Twitteriä ja Instagramia! Yhteydenotot / enquiries at samuli@samulimansikka.com!